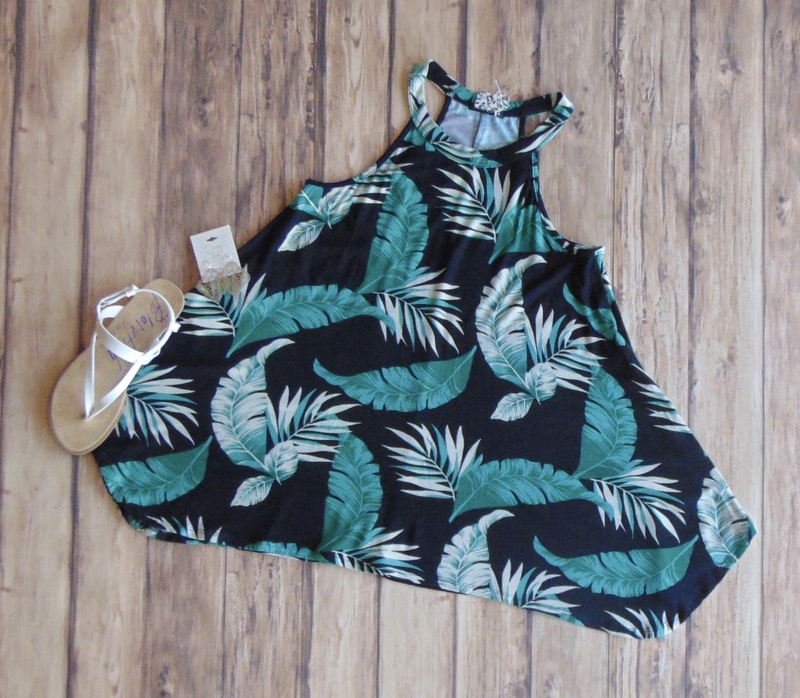 That Palm Frond Life Tank - Stori Anne Co.
95% Rayon/5% Spandex. Halter style, palm print, swing tank. A great look with shorts and some staples!